Tonight, look up at the night sky and you just might be lucky enough to see a bright, blurry ball with a visible greenish-gray shade. That greenish-gray shade object is a comet that orbits between the Sun and Jupiter will make its nearest approach to Earth in centuries. And this all will be happening right on the heels of this year’s most beautiful meteor shower of 2018. 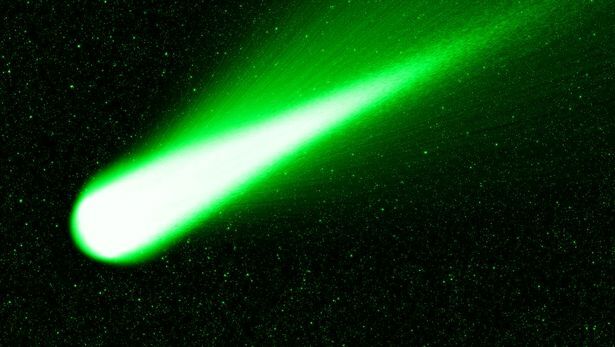 The Green Comet 46P appears green due to the gases it emits light. The ball of gas and dust, also called as the “Christmas comet,” was nicknamed 46P/Wirtanen, after the astronomer Carl Wirtanen, who found it back in 1948. It circles the sun once every 5.4 Earth years It passes by Earth roughly every 11 years, but its distance alter and it is rarely this close. The closeness of 46P/Wirtanen give astronomers a chance to study the tail of the comet and see farther into the nucleus. This amazing article by Rao will help you get more information about where to look, depending on when you are able to go outside for the show. Tonight it will be its closest approach to the Earth in 20 years. And it won’t be this close again for centuries or perhaps even in a thousand years. Articol următor Who produced that motorcycle helmet ?! Well done!